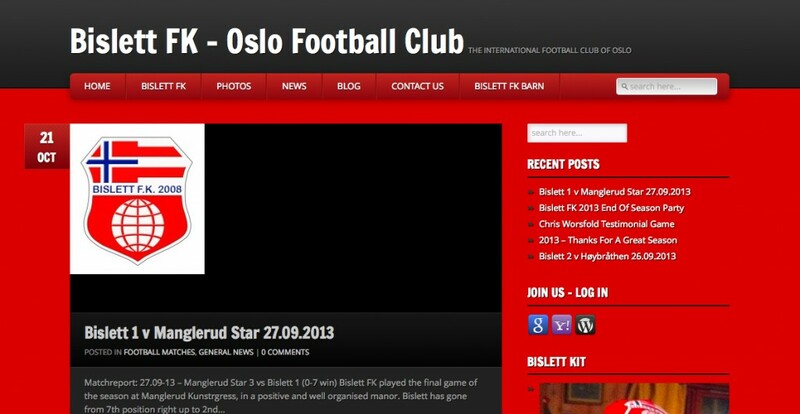 Bislett FK – The international Football Club of Oslo, needed to renew its presence on line. We created their portal based on the clubs needs and the flexibility of being able to update it both through smartphones and web. A sleek design and a webshop ere implemented so Bislett Fk will be able to sell their kit through their webshop. We recommend you to purchase the kit and support the club. On Bislett FK you will mostly read articles, previews, and have a look at images and videos.